Dwayne Perreault — It’s a simple fact, most people here equate American wine with Californian wine. There’s California, and then there’s Oregon and Washington state. Some quality wines are also made in New York state, in the Finger Lakes region (where Château de St. Cosme recently entered in a partnership with Forge Cellars) and on Long Island, but these wines are mostly consumed locally and never make their way overseas. But the U.S.A. is a big country. Eastern U.S. wines are not limited to New York, as Virginia has over 120 wineries, and there are another 44 in Maryland. 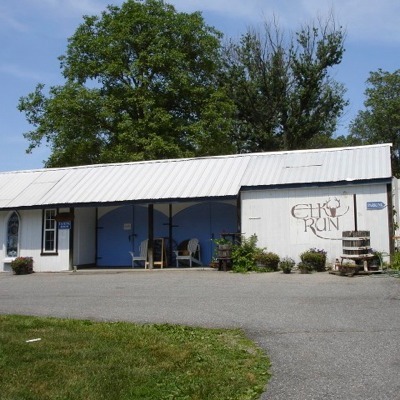 A recent trip there brought me to Elk Run Vineyards on Mount Airy, in Frederick County. 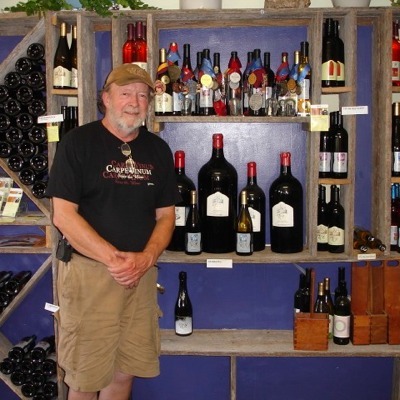 Fred Wilson (photo) began the first all vinifera winery in Maryland in 1980, after studying under Dr. Konstantine Frank in the Finger Lakes region for serveral seasons. Chardonnay, Riesling, Gewürztraminer and Pinot Gris were planted, along with Pinot Noir, Cabernet Franc, Cabernet Sauvignon and Syrah. Elk Run produces 5,000 cases of wine per year from 9.7 ha of vines from two different sites: Liberty Tavern Vineyard, planted in 1980 and Cold Friday Vineyard, planted in 1995. Soils are mainly shale and schistes on top of sand, with good drainage. Grapes are destemmed, with whole berry pressing for the Chardonnay. Reds are fermented in open top bins, getting a malo in the spring. The winery itself is a very modest structure, though the site has historic significance, as Liberty Tavern, which is now the house where the Wilsons live, was a meeting place for the Sons of Liberty prior to the Revolution. Upon seeing the vineyard, I remember thinking something like “I can’t see the forest from the trees,” as for my European eye, the vines looked wild and crowded together, almost forming bushes. At first, I wondered if the vines simply weren’t being overcropped, but Fred assured me that isn’t the case. Average yields are 300 gallons per acre, which is 33.6 hl/ha, which would be the norm for a quality vineyard in the Languedoc. The proof of a wine is, of course, in its tasting. We started with a couple Chardonnays which receive French oak ageing. The Cold Friday Vineyard Chardonnay 2010 ($14.15) has a silky texture with smokey, nutty flavours. Straightforward and pleasing with medium low acidity, but still remains quite fresh. The Liberty Tavern Vineyard Chardonnay 2010 ($24.53) has much more oak, almost Burgundian in nature, very smooth and mellow with a solid finish. Barrel fermented and aged in Allier oak, this is very well done. The Gypsy Rosé 2010 ($15.09), made from Cabernet Sauvignon and Pinot Noir has a light salmon pink colour and light cherry fruit with peppery tones. Nice! 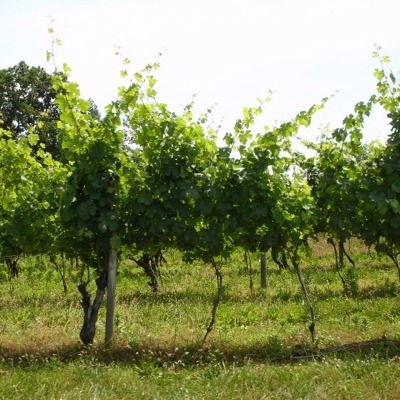 Gewurtztraminer does well in Maryland and finishes in early-mid season. The Cold Friday Vineyard Gewurtztraminer 2010 ($24.53) had a pale gold colour with a sultry nose, thick in the mouth, more off dry than sweet with medium low acidity. Very Gewurtztraminer with spicey notes, but this one did not work with an Indian curry very well. As for reds, the Cold Friday Vineyard Cabernet Franc 2009 ($28.30) has strawberry jam and chocolate in the nose, dark cherry fruit and medium tannins. Quite an honest expression of Cabernet Franc. The Liberty Tavern Vineyard Cabernet Sauvignon 2007 ($49.95) might be considered the flagship wine. Very dark fruit with some residual sweetness and cacao, soft in texture and not overy tannic. 13.5% alcohol. Finally, the Vin de Jus Glacé 2008 ($27.36/half bottle), made from Riesling, is one of those examples of cryoextraction wines American vintners are fond of making. Randall Grahm introduced the vin de glaciere on the public with his Bonny Doone wines, but here not the grapes but the actual juice is frozen! I wish I had spent more time asking Fred how this actually works but it does smell like icewine, with a slight Riesling petrol. Not overly sweet, but lacks the acidity, sweetness and thickness of real icewine. There’s still nothing like the real thing, it would seem. But overall, I’d have to say I was very impressed by my first tasting of wines from an area still unmentioned in most contemporary wine guides, and in Robert Parker’s backyard as it were. "We will sell no wine before its time"